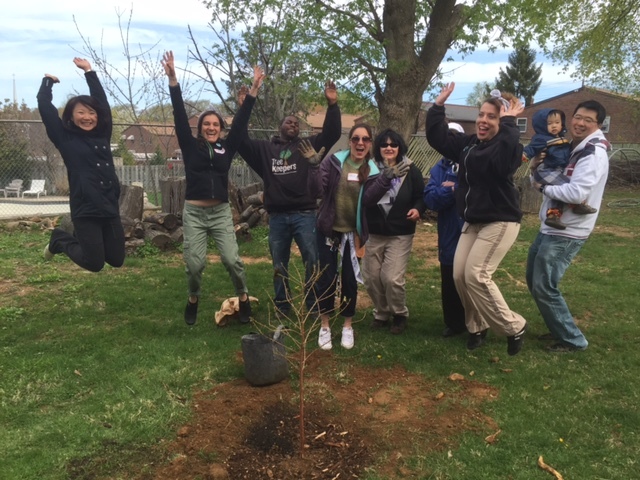 Announcing the Fall 2015 Community Tree Giveaway Grantees!Treephilly Announcing the Fall 2015 Community Tree Giveaway Grantees! Announcing the Fall 2015 Community Tree Giveaway Grantees! Volunteers from Associated Polish Home and others rejoice after a successful tree giveaway in Spring 2015. We are excited to announce the winners of our Fall 2015 Community Yard Tree Giveaway Grants! With the support of TreePhilly, each of these community groups will host a free yard tree giveaway in their neighborhood this fall. Each group will offer either 50 or 100 trees to their communities, as well as free mulch, planting demonstrations, and educational materials. Support for this program comes from the Fairmount Park Conservancy, and Wells Fargo. Additional support for the grants this season comes from Councilman Bobby Henon, The UPS Foundation, Keep America Beautiful and Keep Philadelphia Beautiful. We are looking forward to working with this group of organizations to give away trees in Philadelphia this fall. The schedule of events and the list of available trees will be announced in mid-September, stay tuned!